[Xianghai Xuan] Built in 1914. Mr. Rong Desheng spent 50 taels to purchase Mr. Kang Youwei’s handwriting “Xiang Xue Hai”. 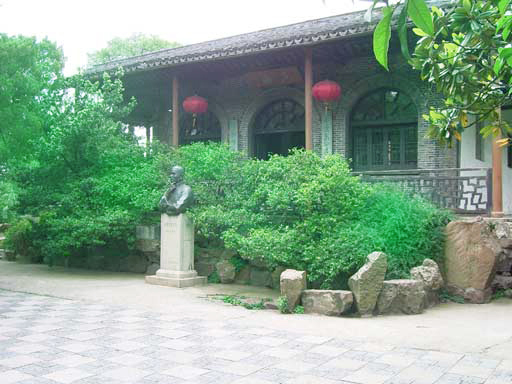 In August 1918, Mr. Kang Youwei visited Mey Blossom Garden, and he found it’s a copy. So he rewrote “Xiang Hai”. The original tablet has got lost. This one was written by his student and daughter, a great calligrapher Ms. Xiaoxian in 1979. In 1991 Mr. Kang’s handwriting was found in Nanjing Museum and remade a tablet in this hall.